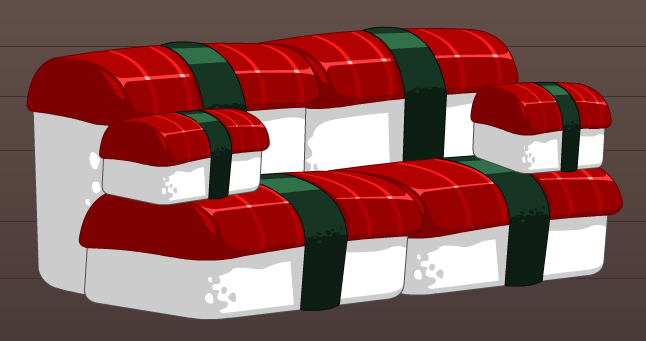 Description: A deliciously crafted tuna sofa. complete with tuna throw pillows. Prone to soy sauce stains.